On 28 April, 1979, a day conference organised by Khamsin was held in Birkbeck College, University of London. The general topic of the conference was Nationalism, Religion or Socialism in the Middle East. The following text is a transcript of the opening talk at that conference. Looking back over the last decade or so of Middle-East politics, I think there is at least one thing no observer would disagree about: that is the accelerated pace at which dramatic events of a political, social and economic character have been taking place in that part of the world. Since 1967, not only have there been two major Arab-Israeli wars, the Lebanese civil war, and the Israeli invasion of southern Lebanon, but also we have witnessed the end of pan-Arabism as an important force in Arab politics and the rise and subsequent degeneration of the Palestinian nationalist movement. In addition to a greater frequency of increasingly violent Arab-Israeli confrontations, millions of people have watched on their television sets a major Arab ruling-class politician set out to the Israeli Knesset the terms of an eventual peace treaty. To have gone form the destruction of 1967 to a peace treaty between Egypt and Israel, in which the two countries that have been at war for thirty years open up their borders to the free flow of people, goods and services - this surely is a measure of the scope of the changes which are taking place in this part of the world. But equally as important as the fact 'of change itself is the question of who has been in the leadership of these changes. I think the answer to this question is indisputable. It is the Arab ruling classes and not the left, or even the collective weight of the Arab masses, who are primarily responsible for the transformations taking place today in the region. This has been true since the October war at the very least, and in some Arab countries even before. In other words, what I am saying can be summed up as follows: Suppose we could plot the revolutionary activity of the masses in the various Arab countries on a graph; then the curve would have reversed some time in the early 1970s from a generally upward swing to a steeply downward one. And that same curve for the Arab ruling classes, representing the extent to which they are able to mould the societies over which they preside after their own image - that curve has been on the rise in the last few years. Changes of this order of magnitude demand a response from the left. They do not come frequently in the historical process, and there is certainly nothing comparable to them in the rest of the history of the Middle East. I am referring not only to the Sadat initiative and the Camp David accords, but also to the more general phenomenon of the decline of nationalism as a mobilising political force in the region, as shown not only by the history of Arab nationalism, but for example also by the positive welcome that the Egyptian masses actually gave to the peace tready. The least that one can say is that a response has not been forthcoming from the traditional left and left-nationalist organisations of the Arab world. Or, if it has, then it has revealed the total and utter bankruptcy of those organisations. The degeneration of the Lebanese civil war into a sectarian communal slaughter, in which at the end all that separated people from life or death at the hands of anyone of the participating organisations was a Moslem or Christian identity card - this surely is a very striking expression of that bankruptcy. Yet another example is the chorus of calls of 'traitor' that accompanied Sadat on his November 1977 vist to Israel, a chorus in which all the organisations of 1he nationalist left and the Palestinian resistance outshouted each other in trying to whip up a climate of nationalist and chauvinist hysteria of the most degenerate variety. The very notion that a representative of the Egyptian ruling class could be a 'traitor' to the Arab masses is of course based on the assumption that there is more that unites the Arab left to its ruling classes in face of the zionist state, than divides them. Here we have another measure of the extent of the theoretical degeneration of the Arab left in this period. Insofar as it even exists at all, it can be said to have capitulated completely to the policies of so-called rejectionist regimes like Iraq and Syria. The ascendency of the Arab ruling classes, on the other hand, is not in this period limited to the political arena. The 1973 oil price explosion has created for the Arab bourgeoisies a potential for expansion and development as a class which they have never had before. The Arab economies and societies, in particular the oil-producing ones, are today undergoing a ferment of change and reorganisation which, no matter how you look at it, is unprecedented in the whole of their modern history. It is these aspects of change that I shall be dealing with in the rest of my talk, but before that I would like to make a final introductory remark. Revolutionary socialists in the Middle East, and Arab revolutionaries in particular, are today faced with a great theoretical, to say nothing of organisational, challenge. They have to lay the ghost of that body of nationalist thought which has stamped their formation throughout the whole of this century; but they also have to face up to what is actually happening to Arab societies today. For not only have the Arab regimes and ruling classes successfully appropriated the whole of the ideological terrain of the traditional Arab left - I am referring to nationalism - but also they are now embarking on a course of capitalist development involving large scale industrialisation in countries like Iraq and Algeria, massive infrastructural development in Saudi Arabia and the Gulf countries, and an opening up to the international capitalist market of the formerly insular and nationalised economies of countries like Egypt and Sudan. There are important differences between the three categories of countries I have just mentioned: oil producers with large populations, sparsely populated oil producers, and finally the classical backward capitalist economies of Egypt and the Sudan, with large human resources and no oil revenuse. Nevertheless, despite these differences, the general direction of development in all three categories of countries, towards stronger and more deep-rooted ties with the world market, is the same. To illustrate this point, let me take briefly the example of Iraq - that great bastion of anti-imperialist rhetoric and erstwhile leading member of 'the rejectionist front' against Sadat and the Egyptian-Israeli peace treaty. Looking at Iraq's external trade between 1972 and 1974, we find that the USSR dropped from first to seventh place as supplier to Iraq's growing market. During the same period, Japan quadrupled its exports to Iraq, to occupy the leading position, while West Germany increased its exports more than five-fold. Today even half of Iraq's military purchases come from the imperialist countries. The Algerian regime is in much the same situation. Between 1973 and 1977, American exports to Algeria increased from $160 m to $380 m, while American imports of Algerian oil and gas rose from $200 m to $2,200 m. On the other hand, the USSR's exports to Algeria, having undergone only a modest increase between 1973 and 1976, declined absolutely in 1977. What then is the main proposition I am arguing? I would summarise it like this. In order to truly understand an event like the Satat peace initiative - which I think is by the far the most important development on the Arab political arena since a very long time - it is necessary to situate it within this wider context of the social and economic transformations gripping the Middle East today. Furthermore, although the origin of the initiative and peace treaty may very well lie in the particular crisis conditions of the Egyptian economy and the compelling pressure on the Egyptian ruling class to find at least some partial palliatives to ease the real danger of social and economic collapse in Egypt, nevertheless the ramifications of the process that Sadat has set in motion are regional and international in scope, and will inevitably draw in other Arab regimes over the coming years. I am prepared to predict that Sadat has signalled the beginning of the end of an epoch in Arab politics that began with the establishment of the state of Israel in 1948, and that the rest of the Arab ruling classes will in the corning years learn not only to live with this fact, but to copy it in varying degrees and depending on individual countries' circumstances. The front .of rejectionist regimes will not be able to hold together or accomplish much in its boycott of Egypt,1 and Saudi Arabia at a pinch will not withhold aid from Sadat as it has threatened to do. Of course, what I have said should not be taken to imply that the Arab ruling classes are gradually going to do away with the ideological weapon of nationalism and national.chauvinism, which has proved so useful to them in recent years in holding back and inflicting blows on the mass movement. They will continue to wield this weapon in their attacks on any internal threat which may arise. But what I am saying is that it is in the objective interests of the Arab bourgeoisies to come to some sort of 'solution' of the Arab-Israeli conflict, in order to futher their own economic and social development as ruling classes with realistic and growing chances for continued and accelerated capital accumulation. I think that from this point of view history will record Sadat's greatest achievement as the fact that, for whatever reasons of his own, he set the precedent in this process. What are the arguments that have bearing on this proposition that I am putting forward? I shall present six arguments. First, it is important to note that the imperialist bourgeoisie, and in particular the American bourgeoise, has been significantly weakened over the last decade as compared to the position of total dominance which it enjoyed in the aftermath of the second world war. Other imperialist bourgeoisies, in Japan and Western Europe (in particular the West German bourgeoisie), have begun to undercut seriously the position of hegemony enjoyed by the Americans for so long. More important than this, however, is the action of the colonial revolution since the second world war, and in particular the Vietnamese revolution, which has inflicted the first major military defeat the American ruling class has ever experienced. The ongoing crisis of the American political system and its inability to react to a whole series of events in the 1970s must primarily be ascribed to this historic achievement of the Vietnamese revolution. Finally there is the increasingly important factor of the rising combativity of the workers' movement inside the imperialist countries, which undoubtedly limits the manoeuvrability of the imperialist bourgeoisie. The vacuum created by this weakening of the imperialist ruling classes and their diminished ability to intervene internationally has worked in several parts of the world to the advantage of the bourgeoisies of many of the former colonial and semi-conial countries. It seems to me that in very few parts of the world is this generally valid thesis more applicable than in the case of the oil-producing countries. For both the reasons I have just given and for reasons to do with the particular role of oil in the world economy, there has been, with the oil-price explosion of the mid-1970s, an enormous and unprecedented transfusion of money resources into the Middle-Eastern economies. These massive increases in the price of oil of the last few years do not of course represent an increase in cost of production of this commodity. What they do represent is a transfer of the world aggregate of surplus value from the hands of the imperialist bourgeoisie to those of the Arab ruling classes. The scale of this transfer is quite without precedent in the history of imperialism. To quote just a few figures: Whereas between 1960-70 Saudi Arabia's oil income totalled $7.7 billion, it is estimated by MEED that between 1973-83 Saudi Arabia's revenues will reach $178 billion. If one takes all the major Arab producers, then these same estimates put the total expected oil revenue for the decade 1973-83 at $459 billion. The revenues for 1974 alone totalled $50 billion - an increase of 290 per cent over 1973. Taking all the OPEC countries, their collective revenue rose from $8 billion in 1970 to more than $105 billion in 1975! The second consideration I would like to draw your attention to is that it is wrong to regard this tranfer of resources as a freak goldrush type of phenomenon, in which booming cities are within a very short time to be reduced to ghost towns. In fact, the two massive price increases of 1973 came as the culmination of a process that can be said to have started with the very formation of OPEC in 1960, and more specifically with the Tehran and Tripoli Agreements in 1971, which resulted in increases in the price of oil that were the first signs of an emerging historic shift in the bargaining power' of the oil companies and the imperialist governments on the one hand and the ruling classes of the OPEC government on the other. 1 That the Arab oil producers in particular will play an increasingly central role in meeting all the advanced capitalist countries' demands for energy, despite the opening up of new fields like the North Sea. 2 That amongst the Arab countries Saudi Arabia and the Gulf countries are likely to play an even more prominent role, due to the enormous size of their reserves. Very recently also the estimates as regards Iraq's reserves have been increased substantially. The third argument in support of the proposition I have put to you concerns the manner in which this transfer of resources is fostering the formation of a new, greatly expanded generation of Arab exploiters, businessmen and capitalists. Not only is the number of small, medium and large-scale Arab bourgeois growing, but also the scale of their operations has changed qualitatively. The increase in oil revenues naturally gave rise to an enormous expansion of trade with the imperialist countries. This took the form, in all the Arab oil-producing countries, of a massive expansion of government expeniture, infrastructural investments (ports, roads, telecommunications, power plants, new towns and so on) and active state encouragement to the growth of a private capitalist sector. State expenditure on new projects and contracts is fundamentally the economic mechanism which is facilitating the emergence of new and qualitatively different ruling classes in the Arab region. However, the precise manner in which the new bourgeoisies of the Middle East are emerging differs greatly from one country to the next. In Iraq, for example, sweeping nationalisations in the 1960s followed the precedent set by Egypt and resulted in the concentration of all economic power in the hands of the state. All the new large investments in mining and industry (especially.in petrochemicals and construction materials) are today being made by the Iraqi General Industrial Organization, which is the body created in the 1960s out of the nationalisation of the then twenty-seven largest manufacturing establishments. Wholesale trade, insurance and of course credit and banking are all controlled by the state. Fundamentally, therefore, what has taken place in Iraq is a political and ecomomic substitution process by the state on behalf of the very native capitalist class in whose histroic interest it is today acting. Unlike Egypt, Iraq - despite its growing technological dependence on the imperialist countries - has not yet adopted an outright 'open door' policy towards imperialism. This can be explained by the very simple reason that the country is not yet in need of any foreign investment or additional foreign exchange. In fact Iraq, like Libya, enjoys an impervious finacial self-sufficiency, neither generating a surplus like Saudi Arabia, nor having need to borrow on the world's money markets as even Iran and Algeria have had to do in the last few years. Yet, as we have seen when looking at the Iraqi economy, there is an unmistakable trend away from ties with the Eastern bloc and towards the imperialist countries. 1 Corruption, bribery, robbery and chicanery of every conceivable description taking place through ba'thist bureaucrats in privileged positions in the state apparatus. Corruption is today an all-pervasive ubiquitous phenomenon in the public and private life of all the oil-producing countries. It is not accidental that it played such a big role in the Iranian events of last year and was an important factor in bringing the Shah down. Corruption is the principal mechanism of a process of private 'primitive' accumulation that has yet, in a country like Iraq, to be translated on a very large scale into private capitalist investments. 2 Government contracts awarded to local firms, especially in the construction sector, and generous grants with excellent credit facilities for small investors trying to set up medium to small-size modern manufacturing establishments in food-processing, building meterials, and consumer products of all types. The policy has generally been to encourage the private sector to grow up to a certain size only, leaving all the large-scale industrial investments for the time being in the hands of the state. 1 Stipends paid out regularly to members and relations of the ruling family. The distribution channels and the norms governing how much was given out and to whom closely followed the structure of kinship relations. In Saudi Arbaia, for example, there were more than 500 princes of the al-Saud family who regularly received handouts of this sort in the 1950s and 60s and who in turn had to pass on subsidies and payments to the more junior family relations, and so on. 2 Land speculation, actively encouraged by the municipalities or public works departments of the various Gulf countries. 3 Trade and commerce, based on import agencies and having a sales monopoly on Western consumer products. This is how for example the 'Ali-Reza family made huge profits out of its monopoly over the sale of Ford and Westinghouse products. They were to become the first Saudi millionaires outside the ruling family. Other examples could be given: the Olayan family, the Yateems (Bahrain) and, amongst the more traditional maritime trading families of the Gulf, the Sharbatlys, the Rajhi brothers, and many others. These are the methods by which, even before the oil price increases of 1973, wealth was being 'primitively' accumulated in private hands, not only in the Gulf countries, but also in Syria, Egypt and Iraq before the nationalizations of the 1960s. Today the situation is changing. Members of families whose original fortunes were made by such means are now in government corporations, banking, investment, construction and even industry. They are the cadre of a new, modern, and far more sophisticated ruling class whose influence is just beginning to be felt, not merely in Arab affairs, but on a world scale. I shall take two examples of this type of large-scale modern capitalist operator whose scale of economic activity bears very little resemblance to the traditional bourgeoisies of colonial and semi-colonial countries. Adnan Khashoggi is a Saudi businessman who has assembled in less than ten years a personal fortune estimated at $400m. He started, according to his own account, as a 'sales representative' on a truck deal with the Saudi government. Since these initial transactions, Khashoggi's investments have been grouped under an umbrella company based in Luxembourg, called the Triad Investment Holding corporation. The fifty or so companies making up Triad control a large stake in the electric power and construction materials of Saudi Arabia; insurance in London; property interests in France and Germany; meat packing in Brazil; furniture making in Lebanon; banking in California; trucking in Washington state; and ranching in Arizona. Khashoggi's ambition is to create the first Arab multinational conglomerate. In 1974 he organized a loan of $200m from a consortium of international banks, for economic investments in the Sudan. Also, in partnership with Southern Pacific Properties and with the personal backing of Sadat, Khashoggi initiated and pushed for the well-known tourist resort project in the Pyramids area near Cairo. The Egyptian administration saw this particular project as central to its ability to claim some successes for its infitah policy to encourage Arab and foreign capital to corne to Egypt. However, critiscism mounted heavily in the following years and the regime has had to renege on its promises to Khashoggi. A second interesting example is that of Mahdi al-Tajir, who is estimated by the Business Observer to be worth the fantastic sum of $4,000m and is possibly one of the richest men in the world. His investments span the whole globe, from the Gulf, to major mining ventures in Aftica, property investments in Western Europe and Latin America, and bulk trade in diamonds and precious stones. More than thirty banks deal exclusively with his investments and, according to a report in the same Business Observer, he can with a days work on the telephone raise a loan of some $1 ,000m. The examples of Khashoggi and Tajir highlight an aspect of the process of formation of the 1970s generation of Arab exploiters, which is completely new to the region and of potentially far-reaching consequences. When capital whose original ownership is Arab enters the very big league, as it has been doing in this decade, then it of necessity wants to apply itself and continue to expand by doing so on an international scale. The confines and economic horizons of individual Arab countries, especially those of the Gulf, are simply too restricted for continued accumulation when we are- talking about sums of this sort. Even the Arab countries taken as a whole group are proving themselves today, given the political instability of the Mashriq, too limited an economic arena. The fourth argument I will wish to put forward in support of the thesis that the Egyptian-Israeli peace treaty represents the beginning of a whole new epoch in Arab politics and is potentially capable of setting in motion a process of accomodation of the Arab and Israeli ruling classes, barring some major international crisis in the coming period, is the following. In order to achieve a significant change in the conditions attached to capital accumulation in the Arab region, a change that would eventually enable the Arab ruling classes to go beyond the limitations and confines of their existing economies, it is necessary for them to find a solution to this 'problem' they are faced with: the repeated outbreaks of war with the Israeli ruling class. I believe this point is crucial for understanding why the Arab ruling classes have generally been more or less willing to come to an accomodation with the zionist state, starting with Nasser's acceptance of the Rogers peace plan in 1970, and leading through to Sadat's November 1977 initiative and the Camp DaVid accords. Even the October 1973 war was viewed by both the Egyptian and Syrian ruling classes as a 'war for peace'. In other words: from the point of view of the Arab bourgeoisies, to further their own development as exploiting classes, the Arab-Israeli conflict requires a 'solution'. But there is another side to this argument. It is equally true that the Arab regimes have benefitted in the past, and to a large extent still do, for the continued exacerbation of the Arab-Israeli conflict. They benefit primarily by using this 'external' conflict to derail the internal mass movement and class struggle. In this they are of course in exactly the same situation as the zionist ruling class. However, there is one important qualification that must be made here. The ruling classes benefit from the continuation of a state of war between their nations only as long as they are weak or preoccupied with derailing and crushing the internal opposition. (This excludes territorial expansion as a reason for the continuation of a state of war - a reason which may apply to Israel, but certainly not to the Arab regimes.) But this is not the situation today in the Middle East. On the contrary, the potential for economic and social development of the Arab ruling classes has never been greater than it is today, and the internal opposition to their rme has unfortunately never been weaker. In such conditions, the continued exacerbation of the conflict with the zionist state is not necessarily in the interests of the Arab regimes, whereas it is abundantly clear that it inhibits the transformation of their newly acquired money wealth into solid, dependable and long-term value-producing capital, based on the labour of workers in the Arab countries. How will the petrodollar be invested? My fifth argument is very closely related to the last one. It has become a journalistic commonplace to talk of the petrodollar surpluses of the Gulf countries. What is one talking about when referring to these surpluses? Essentially one is talking about that portion of oil revenues left over in public and private Arab ownership, after deducting all that is consumed, imported, invested and hoarded in the Arab region. These are, as is well known, very large sums. It has been estimated that by 1980 the petrodollar surplus owned by Arab governments (of the Gulf especially) will total at the very least some $250 billion. This amount,just to put it in perspective, is more than the whole world's monetary reserves were in 1976! The interesting question from the point of view of our argument is: How are these surpluses being used today by those who control them? I will not take up the audience's time with figures, but will just summarise the two main points that can be made as regards the general pattern of Arab investments abroad. 1 There has been since 1974 an established tendency for a steady growth in longer-term investments generally, including corporate stock and porperty. This is more pronounced in the private sector at present, but can be clearly detected even in the deployment surpluses. It can be shown for example that even the investments of the financially conservative Arab states in US equities, property and other long-term projects, have more than trebled in absolute terms between 1974-76, despite cutbacks in the total annual petrodollar surplus. In fact, as a share of the annual surplus, long-term non-liquid investments have risen from 25 per cent in 1974 to 50 per cent in 1976. This includes loans made to Asian and Mrican countries, most of which go into productive investments in the shape of joint ventures. An interesting example of such a joint venture is the estimated one billion dollar Kuwaiti investment in the Kenana sugar production project in the Sudan, one of the largest of its type in the world. This mammoth scheme was conceived and managed by the Lonrho Group, which itself has Arab interests. The significance of such a tendency towards long-term steady investments is that it confirms that there is emerging in the Middle East today a new generation of largescale capitalist entrepreneurs who are interested not merely in clipping coupons or collecting rents and being glorified landlords, but also in making capital expand in profitable ventures. 2 The second important observation that should be made concerns particularly the petrodollar surpluses held by the oil-producing governments abroad. Here we note that these government surpluses, despite the trends noted just now, are still predominantly in liquid form, including large foreign currency deposits in the UK, a growing investment in US Treasury bonds and notes, and high bank deposits. What this indicates to us is that in a very basic sense the political leaders of the oil-producing Arab regimes have not yet made up their minds as to the eventual deployment of their surpluses. Many important questions are still open, concerning: the extent of the recovery of the imperialist economies and especially the US; the profitability of US industry and the problem of breaking down the barriers to entry; the prospects of a settlement in the Middle East and its potential economic repurcussions; how to maintain the real value of their surpluses in the face of inflation; how to create a 'reserve' over the long term to substitute for the depletion of oil; and finally, the imperative need to develop the financial and economic expertise to be able truly to manage the surplus, including the need for experimentation and 'feeling out' the scope of possibilities on the world's markets. The presence of large petrodollar surpluses still in the form of liquid assets, despite the growing tendency for long-term investments, inevitably raises the question of what is going to happen eventually to these assets. Sitting in Western banks today they are being eaten away by inflation; and the Arab regimes who control them know this. But there are very real problems as regards their deployment, and the Gulf leaders are aware that the extreme backwardness of the economic structures of their societies render them incapable of absorbing these sums. Furthermore, there are problems of profitability and barriers to entry in relation to the imperialist economies. So what will happen to these resources eventually? The question cannot be answered definitively today. Economics and politics are not exact sciences and there is at every step always a variety of choices that can be made. One thing however can be said. The Arab ruling classes are aware that they are sitting on a finite opportunity created by the peculiar circumstances of oil wealth. Will they attempt to realise this opportunity by forging a social base for themselves in their own societies and transforming their money wealth into more solid long-term investments based on the labour of their own workers? This is a question they are certainly debating amongst themselves today. The final argument that I wish to present in support of the proposition that I have put to the audience is in some respects the most important. It concerns the nature of the industrialisation process currently under way in the oil-producing Arab countries. Summarised briefly, the argument - which I have developed at length in Khamsin 4 - goes as follows. 1 Each new project tends to individually huge from the point of view of the initial investment required to get it off the ground. At any rate, their size is out of all proportion to the existing industrial structure and to what used to be considered large in the Arab countries until the early 1970s. 2 Since 1973 they have been predominantly imported from the imperialist countries, whereas in the 1960s many Arab countries developed ties with the Soviet Union which assisted in their industrial development. 3 The projects are generally highly capital-intensive (petrochemicals especially, which are amongst the most capital-intensive of all industries). This means that they require a relatively small number of highly skilled productive workers to operate them. On the other hand, they require a developed and sophisticated modern infrastructural environment for their profitable operation, including a large number of specialised and unproductive 'service' type of personnel (supervisors, engineers, administrators, technicians, advertising and marketing personnel and so on). Apart from the fact that such a specialised labour force does not yet exist in the Arab countries, the infrastructure of these countries notwithstanding the flood of recent investments, is simply not developed enough to allow for the installation, much less the profitable operation, of such capital-intensive industries. For all of these reasons the operation and maintenance of these industries requires a much deeper long-term association with the imperialist companies that have produced and can service these installations. 4 A very large proportion of the projects are export oriented, especially the ones in the Gulf countries, but even those in densely populated countries like Algeria and Iraq. This means that: (a) the development of industrialisation is being deliberately tied to conditions in the world capitalist market; (b) that once again a major task of the industrialisation of backward economies - the development of an internal market - is being obstructed; and consequently (c) there is a very strong tendency for industrialisation to be reduced in paractice to the problem of replacing oil revenues simply with other sources of, foreign exchange (for example, refined petroleum and other oil derivatives). Thus in a very important sense it can be said that the nature of the industrialisation is such that while striving to establish an economy that is not wholly moulded be crude oil revenues, it is in fact recreating the conditions - but on a higher level, more in tune with the structure of late capitalism - for its preservation. These features of the new generation of industries in the Arab region arise out of the combination of conditions of extreme economic backwardness within a competitive framework that necessitates the acquisition of the most advanced industrial equipment that the imperialist countries have been able to produce. In this sense the law of uneven and combined development is governing the process of industrialisation. The capitalist logic behind the investments is in the final analysis the need to maximise the rate of accumulation of exchange value - arising out of the capitalisation of the oil income - in compensation for the eventual depletion of the oil revenues. The ruling classes of the oil-producing countries are essentially taking advantage of a temporary windfall gain to set themselves up so that their economic and political power base does not erode as the oil revenues begin their inevitable decline. What is being said, therefore, is that the industrialisation of the 1970s in almost all the Arab countries, more than at any time in the past, is integrated in the world capitalist economy and depends on developing and healthy economic and political relations with the imperialist countries who are the main suppliers of machinery, technology and the highly skilled labour that is so eagerly being sought after in the industrialising Arab countries. When talking about an upsurge in the level of industrialisation in the Arab countries, it should be emphasised that the comparison is being drawn with the very meagre industries which already exist in these countries and were inherited from previous decades. Relative to their own backwardness alone can one talk of an 'enormous' expansion of industrial investment which will undoubtedly shake - indeed is already shaking to its very foundations the traditional non-industrially based social structures of the Middle East. Furthermore, the very nature of the industrialisation that is going on in the oil-producing countries imposes certain limits on the extent to which it can further develop. It also points to the weaknesses and bottlenecks which in the future will no doubt be the cause of many a social and political crisis. Time prohibits me from going into these issues now, but they can be developed more at length in the discussion. In my old Khamsin article I have dealt with them at greater length. By way of a conclusion of this talk, I wish to make one final comment. I do not think that the six arguments that I have marshalled in support of the proposition that I put to the audience actually suffice to prove it beyond reasonable doubt, so to speak. No most certainly not. However, I think the arguments strongly suggest the proposition I have put forward and the most likely line of development of events in the post-Camp David era of Middle East politics. There are very long-term projections that we are discussing. In fact 'proof in that immediate sense is most probably not possible at this stage, because we are suggesting trends which would take many years to unfold and drawing out the possible implications of current affairs in the Middle East. Not enough hard facts have yet accumulated to enable us to bring in a definite verdict. 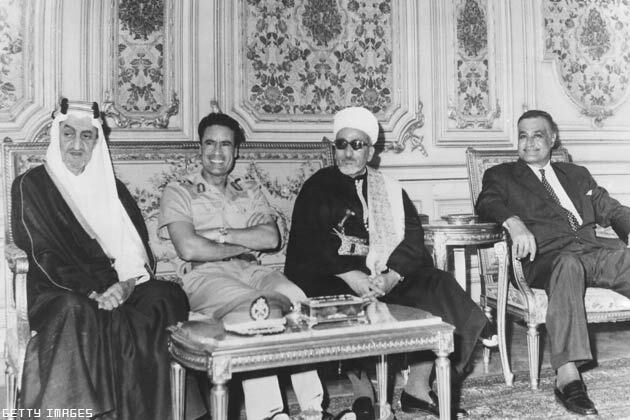 Nevertheless, if the arguments that I have put forward do one thing, it is this: they certainly undermine the hypocritical basis on which the rejectionist regimes have attacked Sadat. And regardless of how the Egypt-Israel treaty eventually fits into the Middle East scene - whether it is the watershed that I have suggested or not - there can be no doubt that the economic restructuring of Arab societies and the new position of the Arab ruling classes is just a watershed in the life of the whole region, of whose implications we are only just becoming aware. 1. This prediction has since been confirmed with the collapse of the Syrian-Iraqi repprochement and the general disarray that all the 'rejectionists' are in.